At the last moment yesterday evening (16/9) I decided to put out the two garden traps. It was supposed to be dry last night but it seemingly drizzled for some hours, as the traps were sodden this morning. However, the rain had stopped by `inspection time` which made it fine by me. 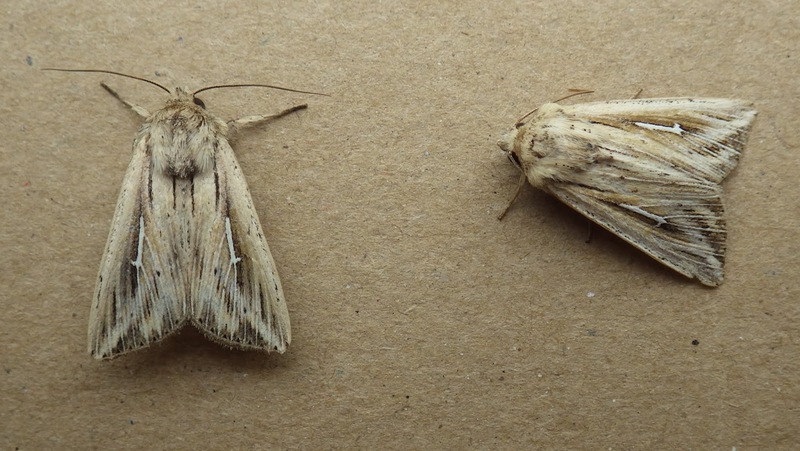 There was actually a fair mix of moths, with plural numbers of FFY black rustics, large wainscots and a mixed supporting cast. The only migrant were several silver y`s. 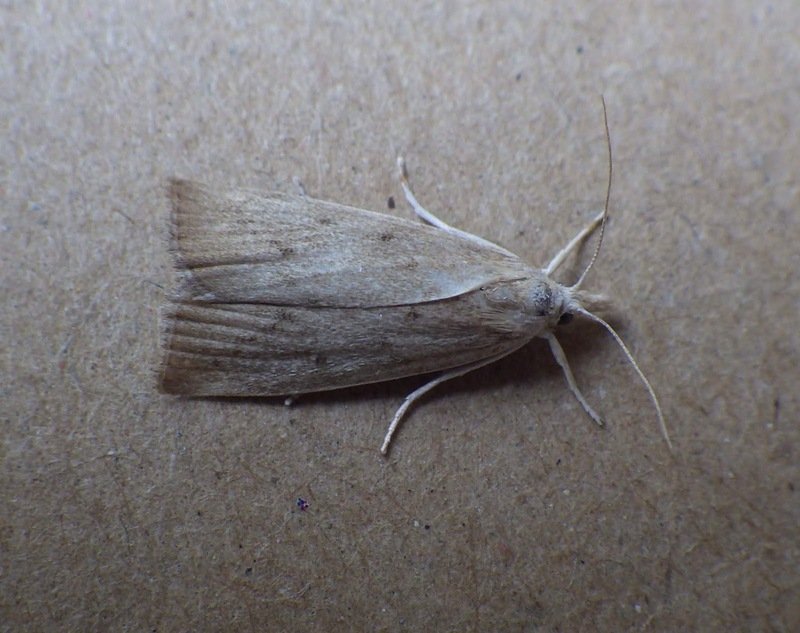 It appears that a delicate turned up for a lucky recorder last night in Ceredigion. 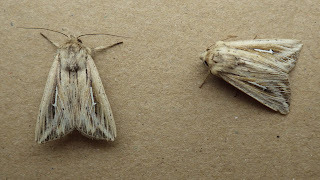 My highlights were two l-album wainscots and the wetland crambid Calamotropha paludella. 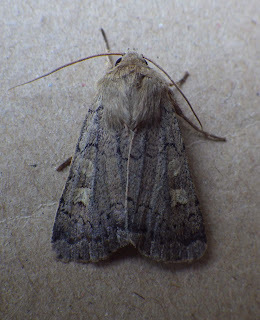 Above: l-album wainscots, a fairly regular species at my garden traps. 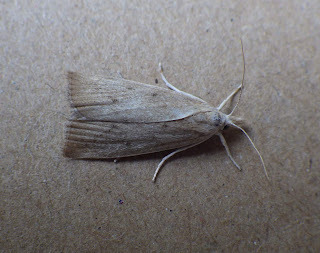 Above: Calamotrpha paludella, also recorded on multiple occasions over the years. Above: I`m getting myself confused over this one - square spot rustic but very `stripey`- am I missing something or `barking up the wrong tree`? Yes, just a Square-spot Rustic I'm afraid. We saw a Dark Sword-grass by day during Marsh Frit web surveys near Harford, North Carms today. Thanks George. 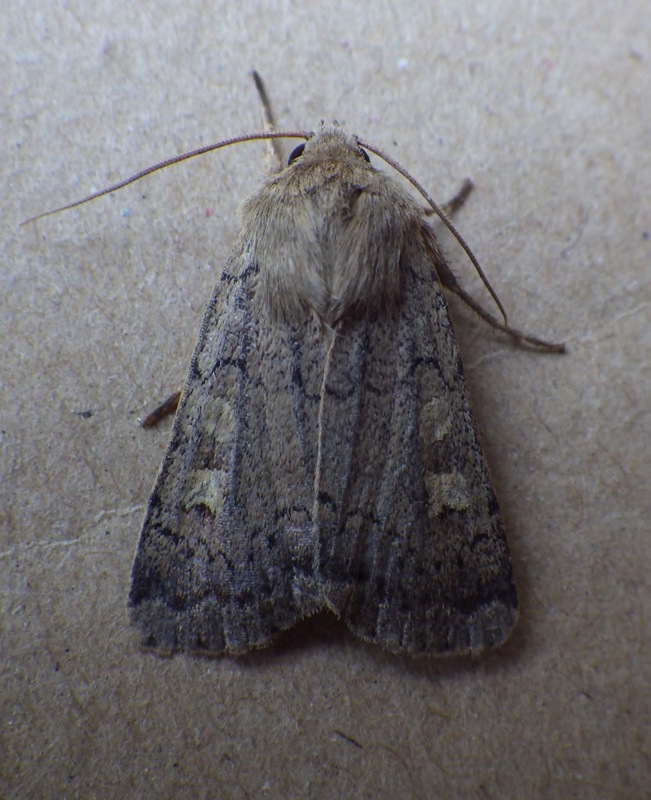 Sometimes when you look too long at a moth, imagination or doubts set in.